Many of you have asked about how to metal stamp on two sides. The key is to prevent marking on the opposite side and to use a light hand when you hammer the punch. I've found that the best solution is to use a piece of packing tape to cover your metal block. 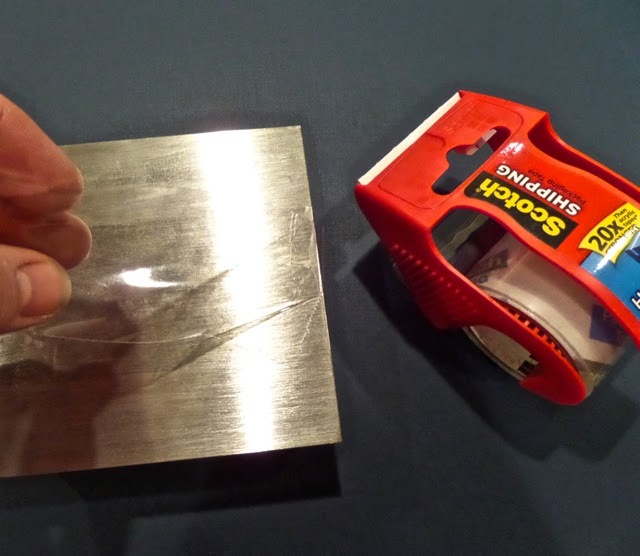 This will protect the metal from taking on any of the scratches or texture that may be on your block. A simple but very effective method for metal stamping on two sides of a blank. If you have any other suggestions, please comment and share your wisdom.